We always made plans to celebrate the Asian lunar new year with our friend Phyllis S., a Chinese-American and fellow expatriate local from Hawaii, and her family when we lived in South Texas. Since we have moved, we still try to observe the cultural holiday, as Islander has Chinese relatives as well. 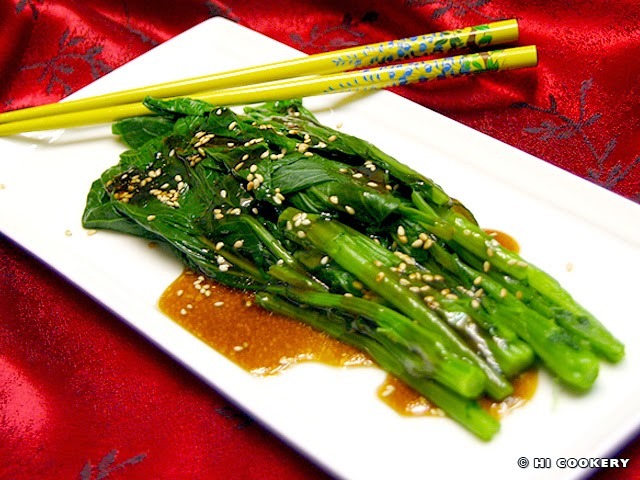 Phyllis introduced us to Sesame Choy Sum, a simple yet symbolic side dish with a salty-sweet sauce that is poured over quickly cooked “Chinese flowering cabbage”. Traditionally, the vegetable represents health and its green color symbolizes money/wealth. So cook up some Sesame Choy Sum on National Cabbage Day or during the Asian lunar new year for health and wealth! Wash the choy sum and trim the bottom. In a large pot, boil some water. Add the choy sum and cook for 3-4 minutes. Remove from the stovetop and drain well. Let cool for about 5-10 minutes. 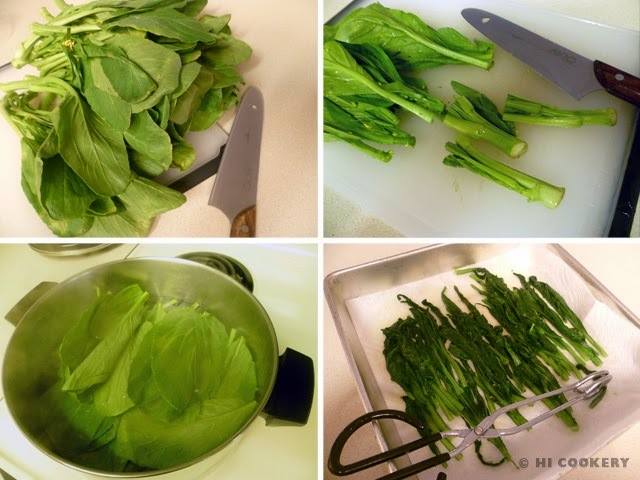 Run cool water over the choy sum and squeeze out excess water. Place the choy sum on a platter. 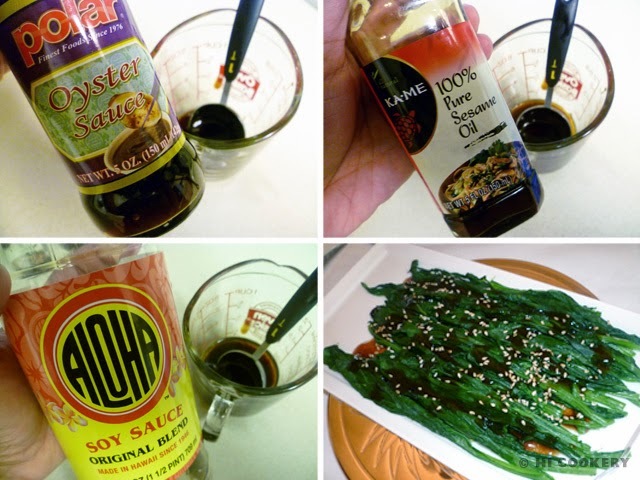 In a measuring cup, combine the oyster sauce, sesame oil and soy sauce. Mix well and let stand for 10 minutes. Drizzle over the choy sum. Sprinkle sesame seeds on top. May be served hot or cold. Phyllis likes to cut the choy sum in half and boil the stems for a minute or two before adding the leaves to the pot, as the stems are thicker and take longer to cook. Search our blog for other recipes containing cabbage as an ingredient. Kung Hei Fat Happy (Lunar) New Year!